Toowa Primary School (pronounced Toe-ah!) lies on the hills behind Lugazi one of Uganda’s busiest industrial towns. The school is the only centre for education for the children of some of the poorest families in the region. For example a local stone quarry provides employment for mothers who sit all day with a small hammer and a pile of large rocks reducing them to aggregate for making concrete. It is hard, taxing work but necessary if these mothers are to find a way to get their children to go to school…the only way out of the generations of poverty that have afflicted the community. A local church, seeing the great need in their community, has begun the Toowa school in a bid to help the current generation to escape from poverty. The problem being that the ‘barter’ economy in the villages around Toowa means that they have little or no cash to pay for school fees, uniforms and materials. 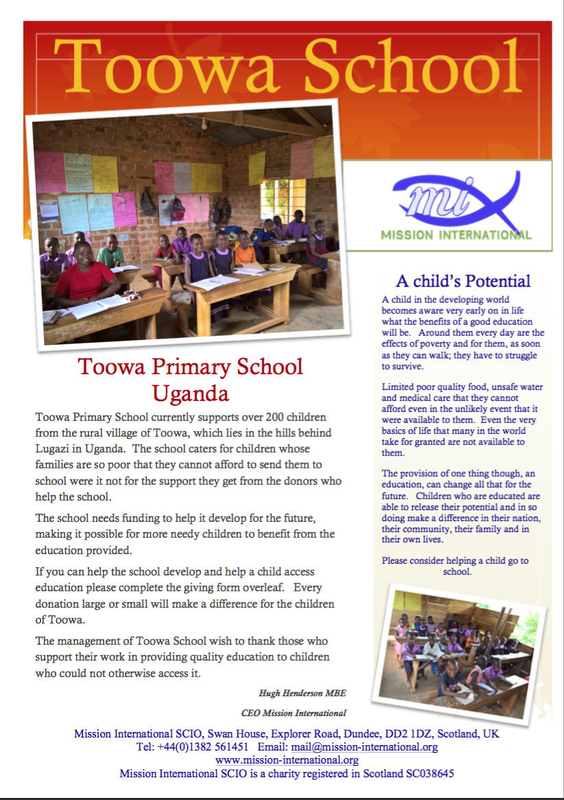 Mission International has begun a programme of help for Toowa. The plan is to help fund teachers and pupil needs so that parents can send their children to school at a level they can afford. There are currently more than 200 children attending Toowa Primary School; there are many more in the community who cannot afford to attend because their families are just so poor. It doesn’t cost much in western terms to send a child to Toowa school. Only £10 for the whole school year which provides school education, and uniform support. A further £10 will provide lunch every day for a year. 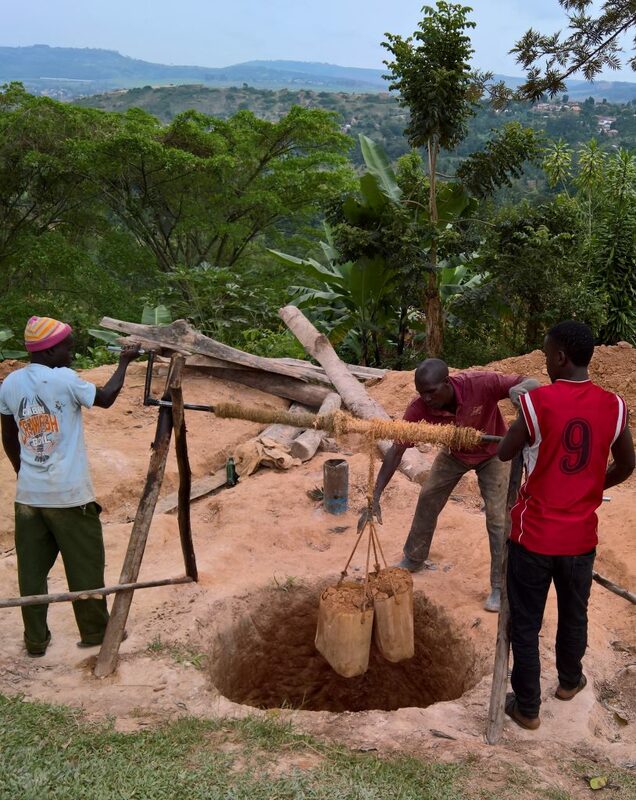 Your support for this project will mean that many more children in an extremely poor region of Uganda will find hope in the quest to escape the grinding poverty that has held previous generations of their community for many, many years. 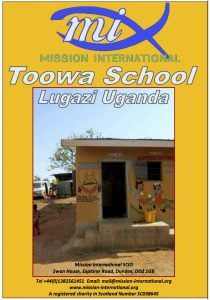 There are two simple projects which Mission International is raising funding for to help Toowa School. 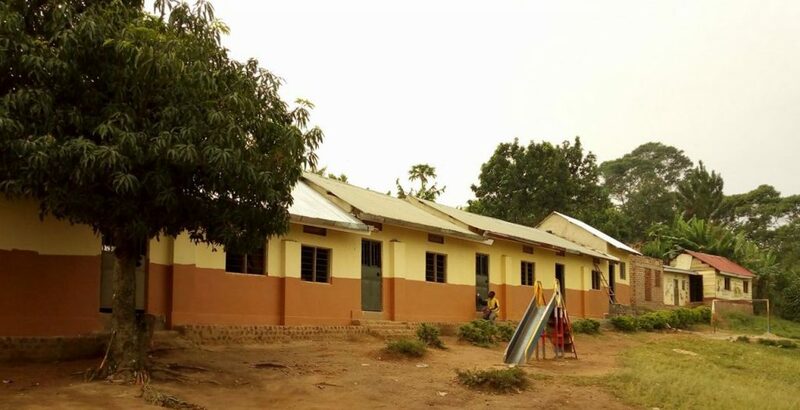 The first is to provide a water harvesting project which will gather rainfall in the rainy season from the roofs of the school buildings and store the water in large tanks where it can be used throughout the year but in particular during the dry season. This will help the children a lot since they have to take time out of their school day to go, early in the morning and in the evening, to the river which is about a mile away, way down at the bottom of the hill. A regular clean water supply will help the overall hygiene of the pupils and staff and will help with cooking and washing. The image shows the well under construction. A second project is to plaster the walls in the school classrooms and concrete the floors as well as put windows in the classrooms. Currently it is dusty, especially when it is a windy day. The wind comes in the gaps (where there are supposed to be windows) and swirls around the walls and floors lifting lots of dust and making it difficult to listen and study. Plastering walls and cementing floors will reduce the areas where dust can collect and make it easier for the classrooms to be swept out. 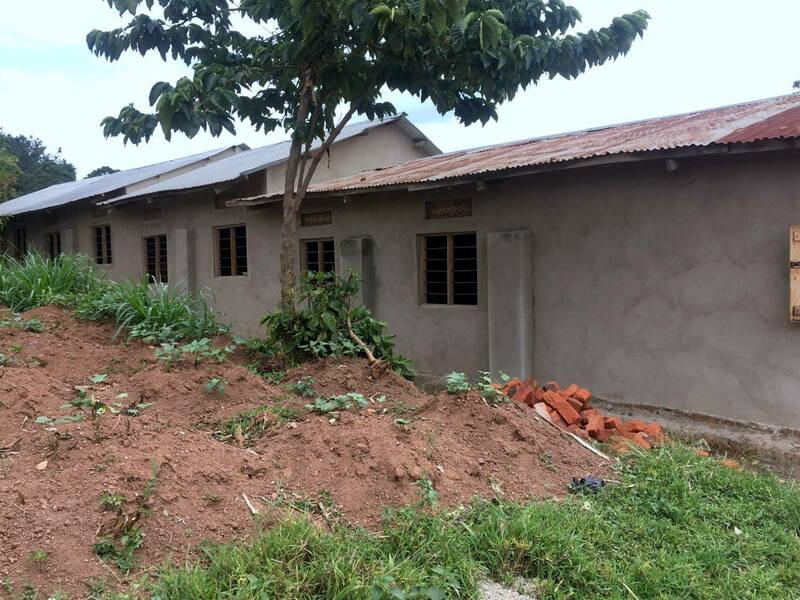 Adding windows will stop the wind gaining access so successfully and protect the classrooms from ingress of rain too. Our 2017 team raised the funds to plaster the classrooms inside and out after which they will be painted. The team were also able to purchase new doors for the classrooms. 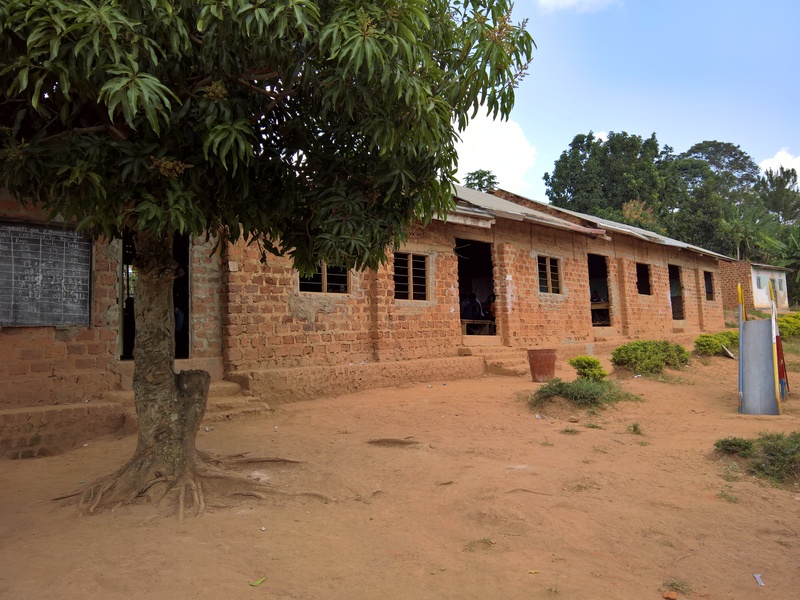 Our 2017 team were also able to purchase a small tract of land adjacent to the school on which will be built a new kitchen and some dormitory accommodation for those children who come to school from deep in the village and find it impossible to go home every day. The team were also able to leave funds to construct a food store which will be used to store less expensive food purchased at harvest time, rather than the more expensive weekly/monthly on-the-go purchases. Toowa School has now had a beautiful coat of paint making it stand out in the community who, with the children, are very proud of their school. You will notice to the building with a slightly higher roof than the rest. This is the food store which has been recently added, allowing food to be purchased at harvest time when it is a lot cheaper and store for use during the school year. Dormitory accommodation for children and staff accommodation remain projects still to be funded. Also a fence/wall around the school to improve security is necessary. To discover how you can give, please visit our ‘Giving’ page. Thank you for supporting the work of Mission International.